Date: 9.03.2018 | Techno, Hard | Tags: Hardstyle The Ultimate Collection, Cloud 9 Music, Astral Music, Wasted Penguinz, Coone, Noisecontrollers, Zatox, Emphasis, Enemy Contact | Download Hardstyle The Ultimate Collection (2018 Vol. 1) for free. 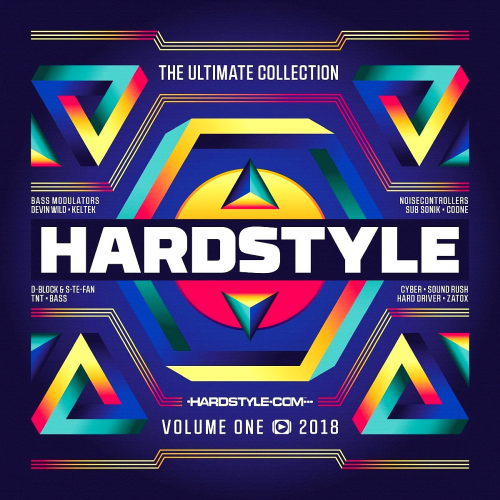 The first issue of 2018 of the hit series Hardstyle Ultimate Collection with two CDs at a one-time price! Here comes the first Hardstyle Ultimate Collection of the year! 40 essential tracks from the most popular representatives of the harsh styles.. The best hardstyle tracks of the moment! Ladies and gentlemen, your attention please for Freaqshows final anthem. This unique collaboration arose because both Jebroer and Anita teach at the Herman Brood Academy and immediately clicked between the two. The track was produced by the duo Rät N FrikK. This melodic trailblazer has worked audaciously to transform his biggest passion into a promising career and his forthcoming release is merely the tip of the iceberg of whats to come in 2018.